Like mother, like son | M.Afr. Here is the text of the beautiful homily of Guy Theunis, Superior of the Generalate on the occasion of the feast of the Immaculate Conception. In French, there is a proverb “Like father, like son”. Couldn’t we change it and also say ‘like mother, like son’? Today I would like to make a comparison between Mary and Jesus. In fact, very little is known about Mary, historically speaking, but we have texts in the gospels and we can reflect on them. I would like to emphasize 5 points that, personally, I find common to Mary and Jesus: these are 5 fundamental attitudes that I will develop, which also concern us as apostles. The second attitude that the texts underline is the openness of Mary and Jesus to welcome their own vocations, their personal missions. Is this not underlined by the account of the Annunciation that we have just heard? As Mary’s answer expresses it: “I am the servant of the Lord. Let it all happen to me as you said!’ (1,38). The same is true for Jesus in agony: “Father, if you want to remove this cup from me… Yet let it not be my will, but yours that is done’ (22:42). Mary and Jesus benefited, at the beginning, from a profound spiritual experience. We heard the story of Mary’s experience. For Jesus, it will be at baptism by John. 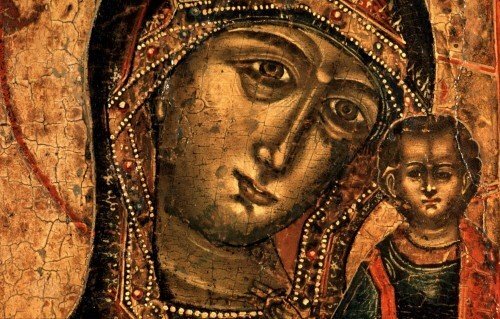 The evangelical texts then underline the way in which they lived their vocation and fulfilled their mission in a radical way: Mary accepts all its consequences from the beginning, like Jesus at the end of her life. Second attitude: the profound acceptance of their vocation, of their personal mission. The third attitude that strikes me is the reflection resulting from this particular spiritual experience. In the account of the Annunciation, Mary received a sign: “Behold, Elizabeth, your relative, is also pregnant with a son in her old age and is in her sixth month, she who was called barren, for nothing is impossible for God” (1:36-37). In Luke’s account, after the angel left her, he notes: “At that time Mary went in haste to go to the high country, to a city of Judah” (1:39). Mary receives a sign and hurries to do Elizabeth a favor. In the account of Jesus’ baptism, after hearing the voice “You are my beloved Son; I was pleased to choose you” (Mk 1:11), Mark writes: “Immediately the Spirit pushes Jesus into the desert” He spends 40 days there. Jesus welcomes this privileged relationship with God, Abba (Dad). And he takes the time to live from it, alone, in the desert, but also to be tempted, to overcome temptations, to make fundamental choices, to forge his future. Thus Mary and Jesus, both of them, throughout their adult lives, have deepened their own vocation, their own particular mission. A fourth common attitude of Mary and Jesus is their attention to the needs of others. We see it for Mary: after today’s account, according to Luke’s gospel, she stays 3 months with Elizabeth to help her. We also see it in the fourth gospel, in the account of the wedding at Cana: “As the wine was lacking, the mother of Jesus told him: “They have no more wine” (John 2:3). The same goes for Jesus. Several times in the Gospels, we are told that Jesus observed, that he watched what was happening, that he went to meet people who were suffering, that he cured them, that he healed them, even on the Sabbath day, not taking into account the laws and customs. For him, the human person is more important than the law, more important than custom. A word of Jesus underlines the importance of the eye, of the way we look, of being attentive to the needs of others: “The lamp of the body is the eye. If then your eye is healthy, your whole body will be in the light’ (Matthew 6:22). To observe in order to understand what is happening, what each person is experiencing, is really living, and to respond to the needs of others, an attitude common to Mary and Jesus. The last attitude I want to emphasize – no doubt there are others – is the trust they have in God and in others… For Mary, we see it in today’s account, as in the account of the wedding at Cana: “The mother of Jesus tells the servants: “Whatever he tells you, do it” (John 2:5). Jesus also says, according to the same fourth gospel: “Father, I thank you that you answer me… I know well that you always answer me…” (John 11:41-42). Many other passages could be quoted. How deep is our listening to the Word of God? Do we keep it in our hearts? Do we take the time to meditate on it? Do we refer to it in our decision-making? How do we welcome our own vocation, our personal mission? Not only at the starting point, but on a day-to-day basis? How do we respond to it? Are we going back to our particular spiritual experiences? Do we read them again? How do we deepen its meaning and importance? What is our way of seeing others? How do we look at them? Do we understand what they are going through deeply? Do we allow ourselves to be touched by their needs? What is our trust in God, in others? How do we experience it? How do we express it? These are some of the questions we are invited to answer. Let’s take the time to do it.